Florianópolis, the capital of southern Brazil’s Santa Catarina state, is made up mostly of 54km-long Santa Catarina Island. It's famous for its beaches, including popular resort areas such as Praia dos Ingleses at the island's northern tip. Its Lagoa da Conceição, a saltwater lagoon, is popular for windsurfing and boating. The Pedro Ivo Campus Bridge connects the island to a mainland commercial district. The city is also a beach resort, popular during the summer: I stayed there during the winter, it wasn’t that cold but there were almost no tourists. Apart from the summer beaches, the city doesn’t offer many attractions, except a few colonial buildings such as the theater “Alvaro de Carvalho” and the metropolitan cathedral. 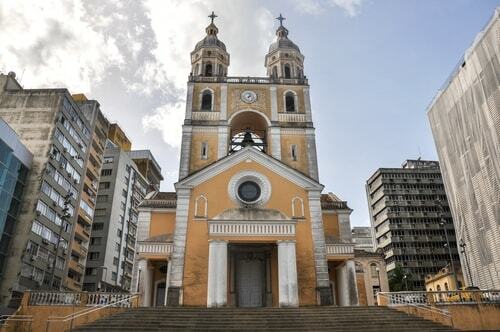 The Our Lady of Exile and St. Catherine of Alexandria Cathedral (also known as Florianópolis Cathedral) is a Catholic church dedicated to Our Lady of the Exile, which functions as the cathedral of the archdiocese of Florianópolis, since its creation on March 19, 1908. 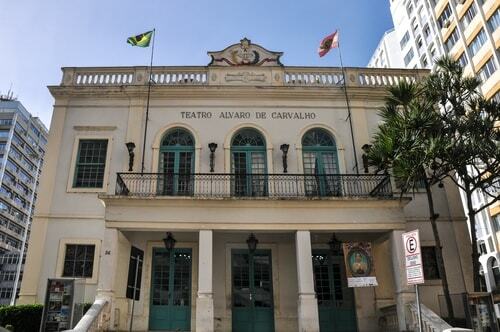 The building is protected by the National Historical and Artistic Heritage Institute of Brazil. Ribeirão da Ilha is the old district of Florianopolis. 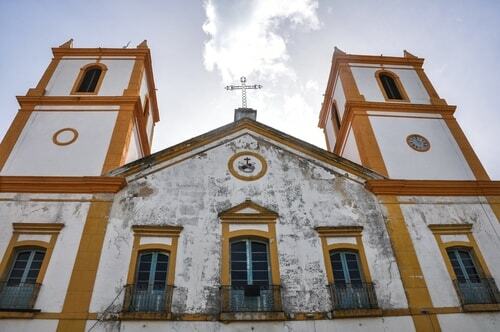 Its historic center, in Frequesia, has a plaza which contains the Igreja Nossa Senhora da Lapa do Ribeirão (church), and the Ethnological Museam which houses documents and relics from the region's history.